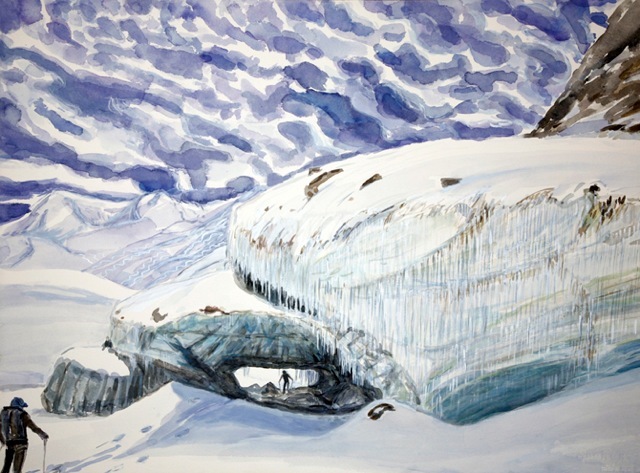 The Alpine Club presents an exhibition of paintings in oil and watercolour that reveal dramatic changes to the world’s glaciers over the past century. Six contemporary artists that are members and associates of the Alpine Club will be showcasing their own work alongside paintings by Gabriel Loppé and others created well over a century ago and now in the Alpine Club’s collection. The dramatic retreat of many of the world’s greatest glaciers in recent times is revealed in this juxtaposition. 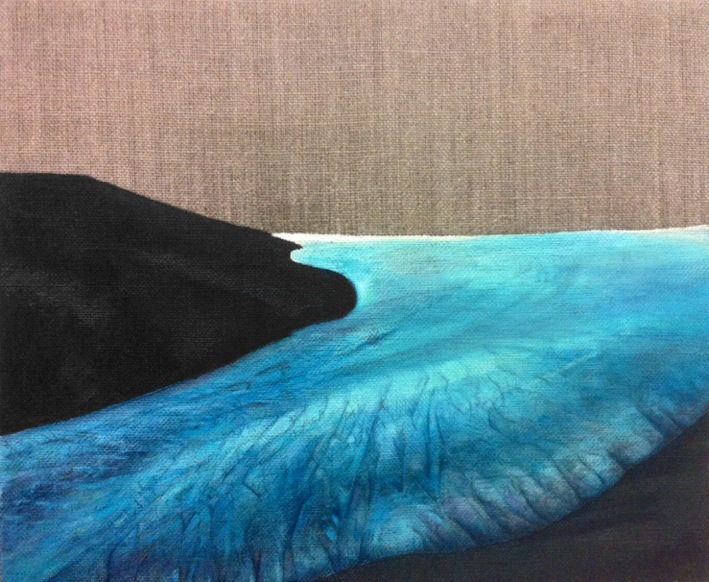 Amongst them is the famous Mer de Glace, images of which will feature in this exhibition, alongside paintings of glaciers further afield such as the Tetons and Alaska. 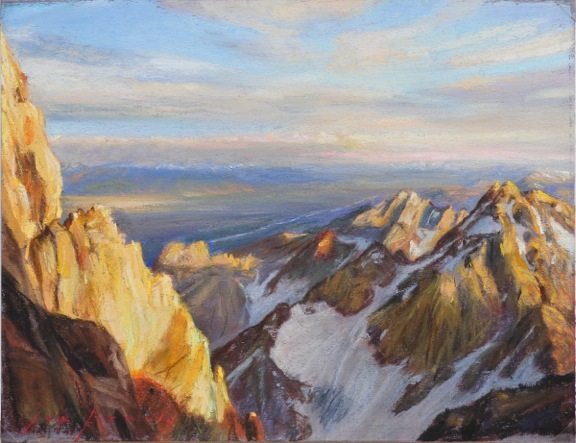 American artist Joe Arnold, famous for his Grand Teton paintings, will be joined by artists James Hart Dyke, who has recently traced Whymper’s route through the Alps, John Fairley (Keeper of the Alpine Club Pictures), Royal Watercolour Society member Simon Pierse, and Polly Townsend, London based artist with work in US Embassy collections in Asia. 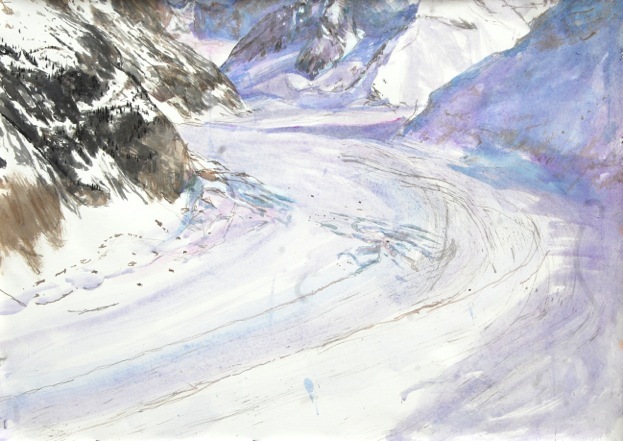 The exhibition is curated by Janet Johnson, an American artist trained in Italy, and who will be exhibiting her paintings of glaciers along the Haute Route between Chamonix and Zermatt. Exhibition dates September 27 to October 25th. Tuesday September 27th – Private view from 5 - 7:30 pm.